Wood-tone picture frames offer warmth and comfort that is both elegant and a down-to-earth complement to your art. Whether you’re looking for solid hardwood, open-grain texture, a smooth veneer finish, or an inexpensive laminate, these wood-tone picture frames are a great option. Real wood picture frame in a natural unfinished veneer. Materials finish is such that you can leave it unfinishd or oil and wax if you desire. The light gray unfinished veneer on this contemporary real wood picture frame offers the option of leaving the finish as-is or finishing the look with oil and wax, stain and varnish, and/or a plethora of faux finishing options. The profile width is 7/8”, and the rabbet depth is ¾”. Real wood picture frame in a dark gray unfinished veneer. Materials finish is such that you can leave it unfinishd or oil and wax if you desire. Real wood picture frame in a medium brown unfinished veneer. Materials finish is such that you can leave it unfinishd or oil and wax if you desire. This gray veneer wood picture frame features an unfinished open grain texture that can be left as-is for a natural look, or it can be polished with oil and wax for a hand-rubbed look. The profile width is 1 ½”, and the rabbet depth is 9/16”. This contemporary dark gray wood picture frame features an unfinished wood grain veneer that may be left unfinished for a clean weathered look, or oiled and waxed for a darker, rich hand-rubbed finish at a DIY price. The profile width is 1 ½”, and the rabbet depth is 9/16”. The profile width of this picture frame is 1 ½”, and the rabbet depth is 9/16”, making this wood veneer picture frame ideal for matted works on paper such as prints, posters, and original fine art, along with canvas boards and rigid hardboard panels due to their limited depth. This lightweight natural wood picture frame offers the clean and refreshing look of birch, with a simple shape that captures the spirit and unassuming functionality of mid-century modern aesthetics. The profile width is 1 ¾, while the rabbet depth is ¾”. This genuine solid cherry hardwood picture frame moulding features a warm, light, genuine grain pattern with a deep gallery profile that’s ideal for matted contemporary works on paper, color and black & white photography, and original oil and acrylic paintings on canvas. This gallery style, weathered gray, genuine, solid cherry hardwood picture frame features a cool, weathered, neutral look that is versatile and unique. Natural variations occur in this solid cherry hardwood, which was harvested from the Cumberland Gap region of the Appalachian Mountains. The profile is ¾” wide, with a rabbet depth of 1 ¼”. This beautiful gallery-style genuine solid oak hardwood picture frame features a clean profile shape and open grain, with an extra deep rabbet for art materials up to 1 ¼”thick. This frame stock comes from the Cumberland Gap region of the Appalachian Mountains. The profile width is ¾”. The natural look of this lightly-finished real cherry wood picture frame offers a clean and simple approach that fits in a multitude of design environments, from Northwest to Southwest, and from post-modern to artisan and arts & crafts interior design settings. This genuine solid hardwood cherry picture frame moulding is made in America and harvested from the Cumberland Gap region of the Appalachian Mountains. It features a gray weathered finish that represents the feel of a contemporary Cape Cod beach house design. The moulding is 1 ¼” wide, ¾” deep, with 5/8” rabbet depth, ideal for matted works on paper, and also stretched canvases on thin stretcher bars. Made in America by Larson Juhl, this genuine solid white oak wood picture frame moulding was harvested from the Cumberland Gap region of the Appalachian Mountains. The profile width is 1 ¼”, while the rabbet depth is 5/8”. This genuine, solid cherry hardwood picture frame is made in the USA, and features a real cherry wood grain, delivering a substantial sense of heft due to the blocky profile shape that features a flat 2 ¼” width and 1 ¼” outside depth. The rabbet depth on this solid cherry hardwood picture frame is 1”, which is ideal for substantially thick art and heavier items such as mirrors. The profile width of this genuine solid cherry hardwood picture frame is 2 ¼”, and the rabbet depth is 1”. The heft and might of this solid and substantial hardwood picture frame is perfect for heavy items such as beveled mirrors, along with stretch canvas, cradled panels, and matted or floated works on paper. This genuine solid oak hardwood picture frame is made in the USA and offers a strong, substantial, and wide profile that features open grain on a flat surface, and a deep rabbet to accommodate stretched canvas paintings in addition to other thick materials. The profile width is 2 ¼”, and the rabbet depth is 1”. This thin, charcoal gray wood picture frame moulding features the look of dark stained wood grain, on a standard ¾” flat, simple profile. The rabbet depth of this frame is 9/16”, making it ideal for matted works on paper such as pen & ink drawings and black & white fine art photography. This simple, contemporary, dark walnut or espresso colored picture frame features a veneer over softwood, providing an economical alternative to solid hardwood. The profile is 11/16” wide, with a 9/16” rabbet depth that is ideal for matted artwork such as watercolor, prints, posters, and photography. This affordable narrow red mahogany-colored wood picture frame features a basic and unassuming profile shape, with the look of wood grain on a wood substrate. The profile width is 11/16”, and the rabbet depth is 9/16”. Mahogany wood picture frame tight wood grain. Large series of very contemporary and simple picture frames. This basic honey-pecan wood picture frame offers a simple unassuming look that is affordable and versatile for a multitude of framing projects and design settings. The profile width is 11/16” and the rabbet depth is 9/16”. This affordable light ivory wood picture frame offers a simple and basic solution for small to medium-sized prints, posters, photos, and original fine art paintings on paper or canvas board. The profile width is 11/16” and the rabbet depth is 9/16”. This affordable simple dark brown wood picture frame features the look of wood grain over a gesso base. 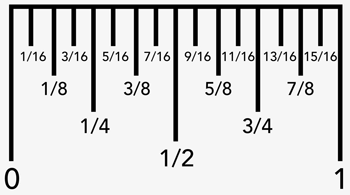 The profile width is 1 ¼” and the rabbet depth is ½”. This affordable basic charcoal black wood picture frame offers the standard look of a simple black frame, but with the subtle nuance of grain pattern that softens the overall presentation of the final framed piece. The profile width is 1 1/8” and the rabbet depth is 9/16”. This affordable burgundy colored basic wood picture frame features the look of fine grain over a gesso base on a wood substrate. The profile is flat across the face with a total width of 1 ¼”. The rabbet depth is 9/16”, making this burgundy wood picture frame ideal for matted works on paper. This economical, mahogany-colored, wood picture frame moulding features the look of tight grain over a gesso base, which sits on a wood substrate. The profile is a standard rectangular shape, with a width of 1 ¼”. This red mahogany picture frame is ideal for matted works of art on paper, thin canvas panels, and other works of art that are not too thick, in consideration of a ½” rabbet. This affordable honey pecan wood picture frame offers a straight-forward simplicity and economical sense of value ideal for a multitude of framing projects. The profile width is 1 1/16” and the rabbet depth is 9/16”. This economical, blonde wood picture frame moulding features the look and feel of birch or white ash, over a gesso base. The profile width is 1 ¼”, and the rabbet depth is ½”, making this budget-friendly, blonde wood picture frame ideal for matted artwork on paper, including prints and posters. This affordable dark espresso walnut brown wood picture frame features the look of fine grain over a gesso base on a wood substrate. The profile offers a deep 1” rabbet ideal for both stretched canvas paintings and matted works on paper. The profile width is ¾”. This gallery-style charcoal black wood picture frame is an economical choice for artists and students in need of a clean, contemporary, professional, and affordable framing option. The look of fine wood grain sits over a gesso base on a wood substrate. The profile width is ¾”, and the rabbet depth is 1”. This economical, cherry fruitwood colored, gallery style wood picture frame features the look of wood grain over a gesso base on a wood substrate. The profile is ¾” wide, with a 1” rabbet, making this picture frame ideal for both matted works and also stretched canvases that require more depth. This economical, mahogany-colored, wood picture frame features the look of wood grain over a gesso finish on a wood substrate. The profile shape is a gallery style, with a ¾” width across a flat face, and offers a generous 1 1/8” rabbet depth to accommodate a plethora of picture framing design choices. This affordable honey pecan colored gallery-style wood picture frame features the look of fine wood grain over a gesso base. The substantial 1” rabbet depth allows for the framing of stretched canvas along with floated watercolor paintings. The profile width is ¾”. This walnut colored shadowbox picture frame moulding features a smooth, contemporary finish with the look of walnut wood grain. The width of this shadowbox profile is ¾”, and the rabbet depth is 1 ¾, making it ideal for deep items such as memorabilia and also original paintings on canvas that have been stretched on deep stretcher bars. Pecan colored contemporary furniture finish perfect for today's urban lifestyles. This light-colored, simple shadowbox picture frame features the look of wood grain over a gesso base. The width is ¾” and flat across the face, while the rabbet depth is a generous 1 ¾”. This frame is ideal for original artwork that requires a lot of depth, and also for unique shadowboxes where a light feel is desired. This picture frame moulding features a laminate finish with the look of maple grain in a soft ivory color. The profile shape is ideal for contemporary art on canvas with it’s ¾” width and 1 ¼”outer depth. The 1” deep rabbet allows room for a fabric-covered frame liner such as Linc-wt. This moulding is also ideal for the price-conscious shopper, as an economical alternative to solid hardwood. This solid maple hardwood picture frame moulding is a soft and simple choice for artists and art lovers alike, especially if you believe presentation should be clean, neutral, and“about the art”. For artists framing an entire show, this genuine maple hardwood frame also has the added benefit of being economical, and durable when transporting to art shows, due to the density of solid maple. Picture frame is genuine maple it is perfect for larger stretched canvas picture. This dark espresso brown wood picture frame has a contemporary feel and features wood grain texture on an otherwise flat profile finish. 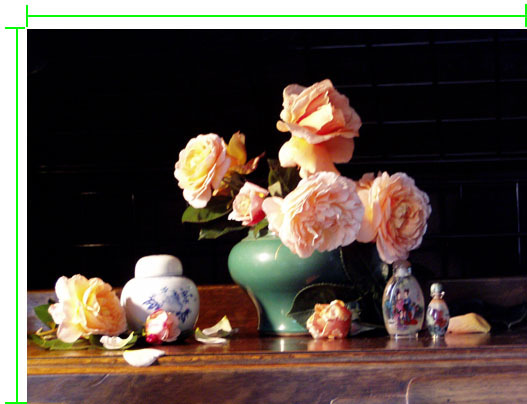 The profile width is 1 ¼”, and the rabbet depth is ¾”, making this profile suitable for both matted works on paper and also stretched canvas paintings up to ¾” deep. This picture frame moulding is a solid hardwood maple that has been stained mid-tone brown. The profile is 7/8” wide, flat across the front and side, and shows a real grain pattern. This moulding is a great option for folk art, stitchery, and any art that has a feeling of quaintness due to it’s unassuming look. V5015 is made is America. Made in America. This genuine cherry hardwood picture frame moulding is made in America and features genuine wood grain showing through a dark cherry finish. The profile is flat across the face, with a 1”width. The outside depth is 3/4", and the rabbet depth is ½”. It can be describes as folksy. Celebrate the American spirit with this genuine hardwood cherry picture frame, made right here in the United States. The profile width of this frame is 1 3/16”, and the rabbet depth is ½”, so artwork that is paper thin or less than ½” when combined with other framing materials is the most ideal pairing with this frame. This genuine hardwood maple picture frame moulding features a dark cherry-stained finish. The profile is 1 3/16” wide, with a flat shape across the face of the profile, and a genuine maple wood grain pattern showing through the finish. This picture frame moulding is proudly made in the United States of America. This brown wood picture frame moulding is made in Italy, and offers a clean, simple, unassuming look for small to medium-sized artwork, especially photographs and fine art on paper. The profile is 7/8” wide, and features a thin, tan line running along both the inside and outside edges of the profile face. The flat profile face offers the look of a warm brown grain pattern over a wood substrate. This rustic, walnut brown colored, vintage-distressed wood picture frame features a flat profile shape that has been weathered through a sandblasting process to reveal and accentuate natural grain patterns in the wood. The profile width is 1 ½”, and the rabbet depth is 9/16”, making this profile ideal for matted artwork, and also original paintings or giclee prints on canvas. This 1 1/2” wide, rustic wood picture frame moulding features a blue-gray wash over a rough grain, textured surface on a flat profile face. The texture of the rough grain pattern offers a warm wood color on the high points, with blue-gray wash filling the low points or crevices. This dark distressed plank-style wood picture frame by Universal-Arquati Moulding features a vintage barn look, with medium brown highlights and dark espresso color covering the body of the profile. The total width of this frame is 1 ½”, and the rabbet depth is 9/16”. This rustic walnut-brown wood picture frame offers the look of rough-sawn plank-style vintage lumber. The profile width is 2 3/8” and the rabbet depth is 9/16”, making this frame ideal for matted works on paper and also ¾” deep stretched canvas paintings. This gray-washed, rustic wood picture frame features an overall flat profile shape that has been distressed to reveal the natural relief ridges of worn, rough-cut wood grain texture. The profile width is 2 ¼”, and the rabbet depth is ½”, making this frame most ideal for items less that ½” thick. This dark, rustic picture frame moulding has a unique barnwood texture over an otherwise flat profile shape. The stain is deep espresso brown in tone, with orange highlights showing through on the higher areas of the textured surface, and a rubbed wax finish over the entire surface. This rustic plank-style brown wood picture frame features a distressed finish that is worn with the wood grain to mimic the look of vintage rough cut lumber. The profile width is 3 1/8”, and the rabbet depth is 9/16”. This rustic plank-style wood picture frame by Universal Arquati Moulding offers the look of vintage dark-stained rough-sawn lumber, with a finish that has been sandblasted and waxed for full effect. The profile width is 3 1/8” and the rabbet depth is 9/16”. This 3 1/8” wide, rustic wood picture frame features a blue-gray look that has over a rough grain surface on a flat panel. The texture of the rough grain pattern offers a warm wood color on the high points, with blue-gray wash filling the low points or crevices. This dark espresso plank-style wood picture frame features five strips of wood that are glued together and then sandblasted for a unique look reminiscent of rough-sawn lumber. The finish is a dark espresso, with light brown highlights on ridges of the grain. The profile width is 4”, and the rabbet depth is 9/16”. This 4” wide, rustic wood picture frame offers a look of wide plank, rough cut lumber that is stained with a teal and brown. The flat, rectangular profile shape is distressed with the appearance of a sandblasting process, where the denser parts of the wood grain become high points in the overall finish, and the softer, low areas are filled with blue-gray wash. This gorgeous, wide, brown, barn wood picture frame moulding features a substantial 4” width, and rustic dark-stained texture full of rough, grain-like markings throughout an otherwise flat profile face. The rabbet depth is 9/16”. This medium brown wood profile has a down-to-earth, woodsy finish with decorative distress along the outer edge, reminiscent of the feel of a mountain forest. The body of the profile has additional markings to simulate the look of wormwood. There is also a very small 1/8” rounded, concave step along the inner lip, which is the same color as the body, and the sheen is matte. The profile width of this rustic honey brown wood picture frame is 1 5/8”, and the rabbet depth is 7/16”, making this profile ideal for thin items such as prints, posters, matted works on paper, matted photographs, images mounted to foamcore, original paintings on canvas board, and rigid hard panels. Rustic picture frame with distressing, inspired by antique Italian furniture. This genuine solid oak hardwood picture frame moulding features a beautifully-aged and distressed finish inspired by the Italian old world style of hand-carved craftsmanship. Markings and weathering throughout the dark stained, waxed finish simulate the resilient feeling of being passed down from generation to generation. This distressed charcoal black wood picture frame features a heavily dimpled surface with a transparent finish to reveal the natural wood grain of the softwood substrate. The flat-shaped profile is 1 ½” wide, with a rabbet depth of 7/16”that is perfect for matted prints, posters, and original works on paper. This distressed charcoal gray wood picture frame features punctured indentation markings to represent aging through the natural entropy of worm holes, along with an open grain pattern throughout. The profile shape is a basic rectangle at 7/8” wide, and the rabbet depth is 9/16”. Heavily distressed golden honey picture frame, even color tone with subtle grain pattern. Open grained golden/red picture frame. Aged appearance, brown side real veneer. This moulding has been discontinued. You may call for a quantity check if you like. Brown & black picture frame, leaf lines & very light speckle even color with, smooth medium gloss surface. This large, substantial, traditional dark brown picture frame profile offers slight distress markings and warm, light brown coloring that highlights wood grain along rounded peaks and ledges. The profile starts with a swan shape along the inner lip that is wide enough to be a frame unto itself. From there, a ledge drops into a deep, rounded, concave scoop that continues and rounds up as it approaches the outer edge. The profile ends with a series of steps to complete the shape of the profile. One of our most popular wood picture frames. Deep brown/black traditional grainy wood with light brown highlights. 2 1/2 inch frame. This nuanced olive black wood picture frame features subtle hints of red and olive green that creates silvery brown warmth to a profile that generally appears black. The profile width is 1 ¾”, and the rabbet depth is 7/16”, so this profile is best suited to matted prints, posters, and photographs on paper. This traditional dark brown wood picture frame offers a series of ridge-like steps on a scooped profile, which causes light reflection off the smooth finish. The profile width is 2 3/8”, and the rabbet depth is ¾”. Contemporary maple scoop picture frame with silver back and top lip from Omega Frames. Web Picture frames carries some of the lowest priced Omega frames. Contemporary walnut scoop picture frame with silver back and top lip. Web Picture frames carries some of the lowest priced Omega frames. Contemporary charcoal scoop picture frame with silver back and top lip. Web Picture frames carries some of the lowest priced Omega frames. Contemporary mahogany scoop picture frame with silver back and top lip from Omega Frames. The smooth mahogany finish of this scooped wood picture frame by Roma Moulding offers a refined contemporary look that is ideal for general use to frame paper items such as matted photographs, watercolors paintings, and fine art prints and posters. The profile width is 1 ½”, and the rabbet depth is 7/16”. This scooped charcoal gray wood picture frame by Roma Moulding offers a smooth grain finish and a clean, contemporary feel. The profile width is 1 ½”, and the rabbet depth is 7/16”. This scooped honey brown wood picture frame features the look of fine wood grain with a smooth finish, and subtle light-colored linear lines on the inner and outer edges. The profile width is 1 ½” and the rabbet depth is 7/16”, making this frame ideal for matted works on paper as well as other thin materials like canvas board paintings. This is a dark brown scooped wood picture frame with a tight grain. It has a modern contemporary look with a semi-matte finish. It scoops toward the center with lighter color detail lines on both the inner and outer edges. It is 1 ½” wide, 1 3/16”outside height, with a ½” rabbet depth. It is made from soft, durable wood. Walnut fluted reverse scoop picture frame. Could be used for Asian art as it has a slight bamboo look. This small of a frame should not be built with either size larger than 24 inches. This petite dark espresso brown wood picture frame features a smooth finish on a slightly rounded profile shape. The profile width is ½”, and the rabbet depth is 7/16”, so this very narrow picture frame is best suited for small matted pictures and photos that are less than 20” in both dimensions. Dark brown center panel with black boarders, satin furniture finish. The mahogany finish on this wood shadowbox picture frame profile offers a classic and traditional look and features the look of wood grain over a gesso base. Ideal for a multitude of framing design concepts, this mahogany shadowbox frame may accommodate deep canvases, floating objects such as those seen in shadowbox designs, and the use of a fabric frame liner such as white Linc-wt. Medium reddish brown picture frame with dark brown accents, satin furniture finish. This deep burgundy red fine-grain wood shadowbox frame is an excellent choice for those wishing to frame deep items in a shadowbox design, such as memorabilia, artifacts, deckled artwork, and other floated objects. The profile width is 1” and the rabbet depth is 1 ¾”. This vanilla blonde Ramino wood picture frame by Roma Moulding offers a soft simplicity for light color schemes on shadowbox framing designs, thick stretched canvas paintings, and other designs where a deep frame is desired. The profile width is 1”, and the rabbet depth is 1 ¾”. This sophisticated western-style wood picture frame features a gold bead on the face of a dark brown profile that is lighter brown along the inner lip. The profile width is 1 1/8”, and the rabbet depth is 13/16”, making this frame ideal for original oil paintings on ¾” stretched canvas. This mahogany colored wood picture frame features a black inner lip that steps up to a curvy convex mahogany red body, and swoops down, blending to black toward the outer edge. The profile width is 1 ¼”, and the rabbet depth is 3/8”. This rounded, red mahogany picture frame moulding offers a traditional look for awards, diplomas, and other important documents, along with family portrait photography and more conservative art such as paintings of lush green parks, golf courses, and understated styles of traditional art. This traditional swan-shaped mahogany-red wood picture frame offers the look of a smooth furniture finish on a gesso base over a wood substrate. The profile width is 1 5/8”, and the rabbet depth is 9/16”. This smooth rounded wood picture frame features the look of a fine mahogany furniture finish over a gesso base on a wood substrate. The profile width is 1 7/8”, and the rabbet depth is 9/16”. Black and brown embossed traditional moulding that works great on small pieces. Larson Juhl Frame. This elegant brown-finished wood picture frame features an embossed pattern inspired by the delicate intricacies and symbolism of a traditional Spanish mantilla. The scooped profile is 1 ¾” wide, and features a ½” rabbet depth that is ideal for matted prints and original art on paper. This ornate, dark plum picture frame features a decorative wave pattern reminiscent of geologic striations, which is stamped into a gesso base over a wood substrate. The profile is 1 1/8” wide, with a 5/8” rabbet depth. The iconic byzantine era cross pattern of this espresso wood picture frame offers an ancient time-tested design that fits a medieval motif, along with old world styles. In a contemporary context, this decorative cross wood picture frame may pair with vintage 20th century imagery, from aviation themes to motorcycles and ocean vessels. The profile width is 1 3/16”, and the rabbet depth is ½”.